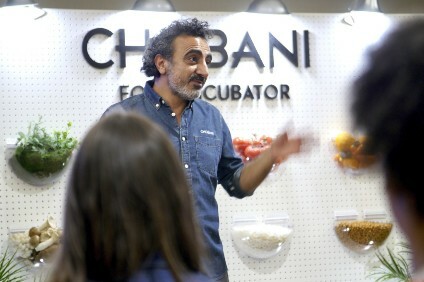 Greek-style yogurt business Chobani has unveiled the newest eight entrants to its spring incubator programme set up by the US-based company's founder Hamdi Ulukaya in 2016. The selected start-up enterprises range from a manufacturer of Syrian style foods to a biscuit maker and a producer of therapeutic foods for malnourished children around the world. All the firms are based in the US. Afia Foods was founded by British-born Syrian Farrah Moussallati Sibai in Texas and makes authentic family recipes made with Halal-certified meat. Cocina 54 was started by Argentinian immigrants Cecilia Panichelli and Federico Carrillo and serves up a range of frozen empanadas. The Meat Hook is located in Brooklyn and was founded by butchers Brent Young and Ben Turley. It supplies naturally-raised meat from family-run farms in New York. Mason Dixie Biscuit Co. of Washington produces preservative and additive-free natural biscuits made from real butter. The company was founded by Ayeshah Abuelhiga. Thaifusions was founded in 2008 by first generation Thai/American Max Borthwick and his parents, Toi and Tom, in Seattle. It sells authentic Thai sauces and curries. Edesia Nutrition/MeWe is a not-for-profit business started by Navyn Salem. It supplies ready-to-use therapeutic foods to malnourished children in over 50 countries. Seal the Seasons supplies frozen food products using flavours such as strawberry and blueberry. The company was founded in 2014 by Alex Piasecki and Patrick Mateer and is based in North Carolina. Cannonborough Beverage Company "puts a new twist on sodas" and was founded in 2012 by Matt Fendley, Mick Matricciano and Brandon Wogamon. It is based in South Carolina.